Modernizing and digitizing your company to compete in the digital world is about more than just technology. You also need to update your development processes. Your operations need to be as flexible as possible to efficiently operate in the ever-changing world of IT. How do you increase the agility level of an organisation’s processes? How do you switch from a waterfall, V-cycle process to an Agile development method? How do you know what to choose when there are so many different agile frameworks and engineering practices influencing IT development? Pentalog’s expert IT consultants are here to help answer these questions. 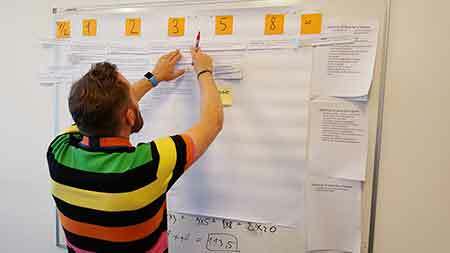 We focus on large-scale agility (Large Scale Scrum) and organize our development processes around various tried and true software engineering techniques that will help you develop quality products with a rapid ROI. Everything is customized to meet the needs of your unique enterprise. Contact our consultants to learn more!